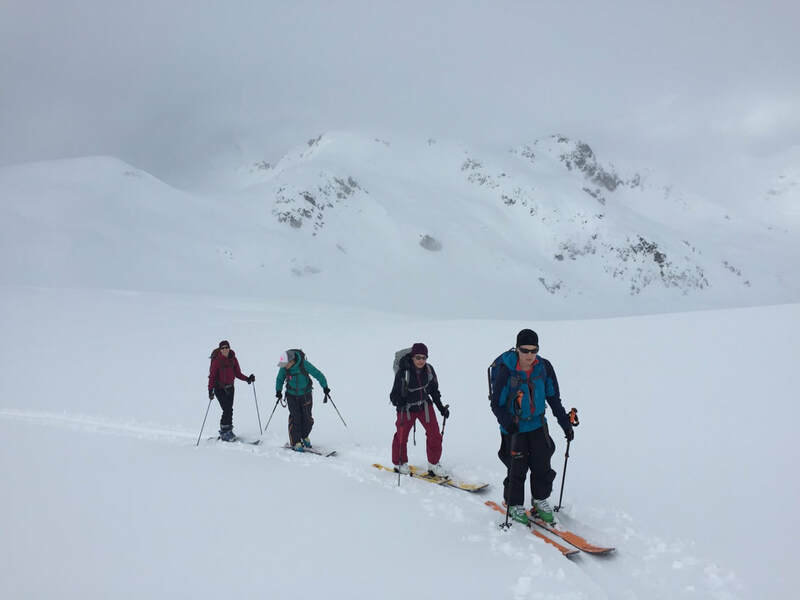 "After several years exploring and guiding guests on skis throughout the Callaghan, Chris Lawrence offers the advantage of professional backcountry navigation, safety skills, and technique development. From the sub alpine meadows of the Solitude Valley, he will guide guests to some of the best spots." "We provide guided, sometimes educational experiences that are paced to your needs. We aim to create an experience where you feel connected with the geographic location and the people involved. DSK Guides strives to provide safe, yet enjoyably challenging experience, where the client understands the risks and really enjoy the wilderness trip." ​"During your visit to the Journeyman Lodge, you can hire a professional guide from Mountain Skills Academy & Adventures. These local ski guides will lead through the amazing terrain around lodge so you can enjoy the best experiences while ensuring that your trip is safe and unforgettable." "Best.Day.Ever. The best day of skiing that you have ever had. That is our aim. We know how special the perfect powder day can be for a group of friends who may only see each other on the annual ski trip. So we are in the business of the best day ever." "Our primary objective is to offer our guests and clients a safe and memorable experience. We achieve our objective by delivering quality trips, lead by quality guides. Passionate for the outdoors our guides are trained wilderness professionals."